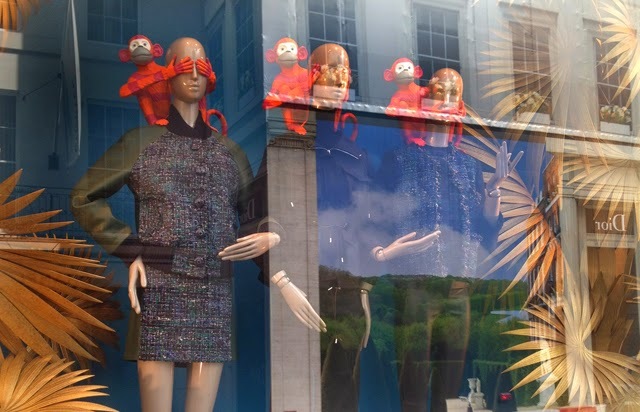 Have you seen Louis Vuitton's monkeys? 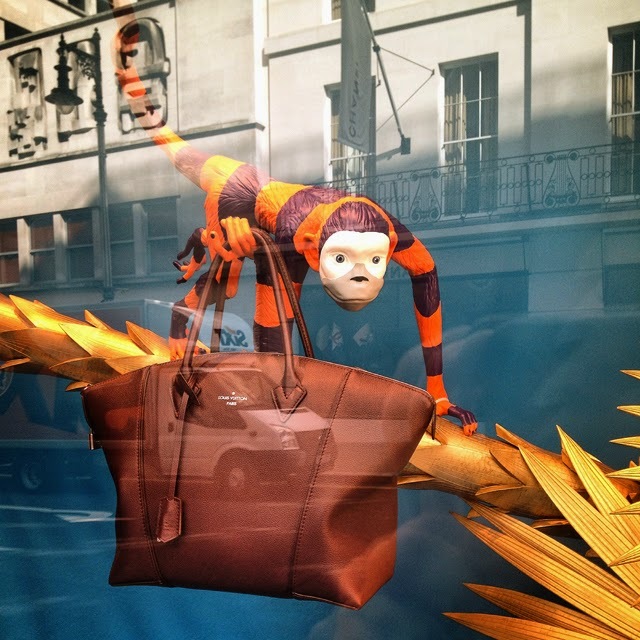 Admittedly, these are not the best window pictures I have ever taken, but I couldn't help but share this fantastic display discovered at Louis Vuitton for the season. 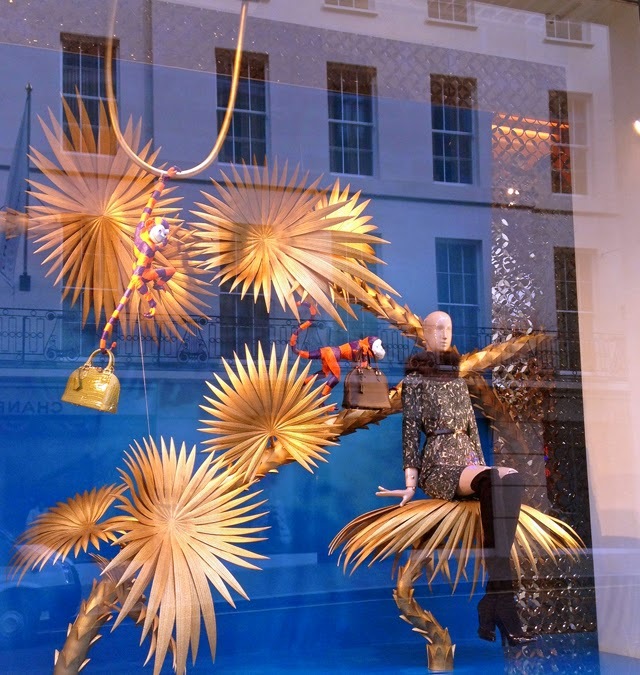 The Louis Vuitton maison in London, on New Bond Street, is always a feast for the eyes. 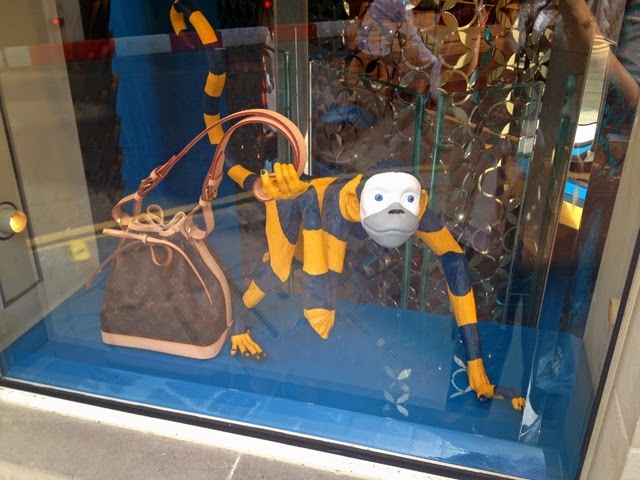 Each and every season I stop by the LV shop not only to shop but to take in the wonder of the windows. And each season I am left with my jaw on the floor. 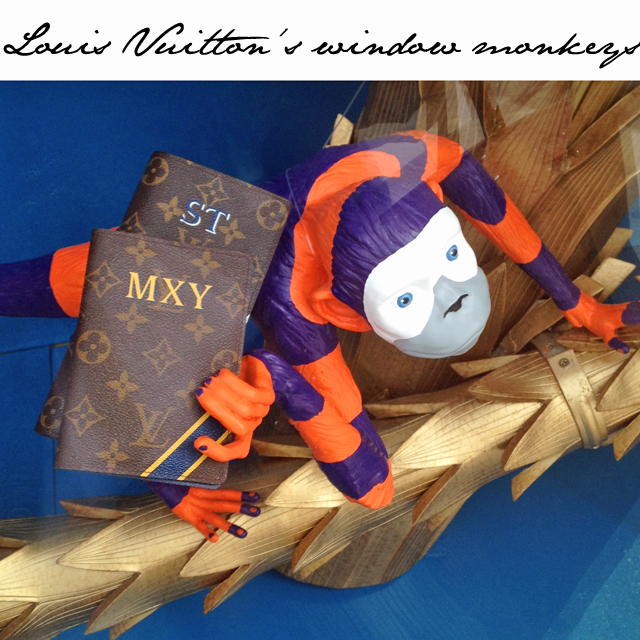 This summer, Louis Vuitton is monkeying around with their windows, literally. 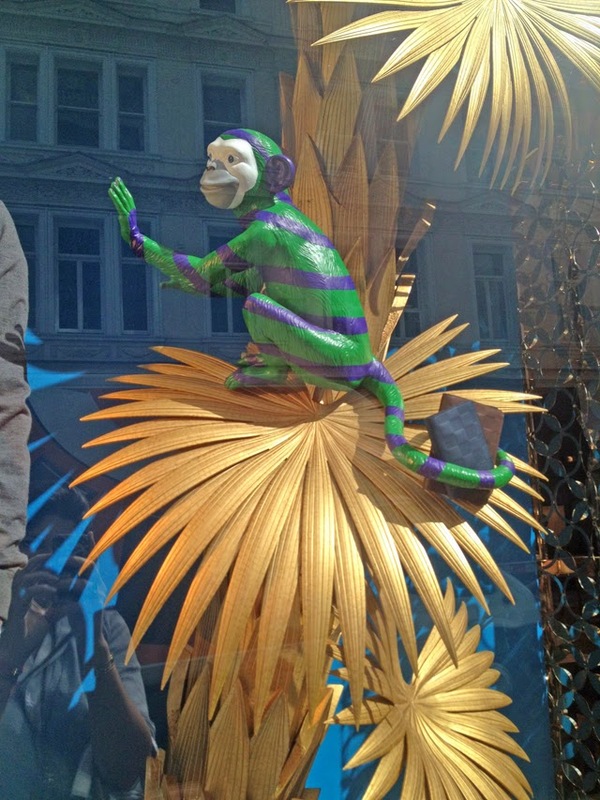 You'll find multicolored monkeys swinging from golden leaves and hanging from immaculately clad mannequins. In short, these monkeys have taken over the store. They're running off with accessories and goofing around as one would expect monkeys to do. Now, what's next for Louis Vuitton after the monkeys move out? 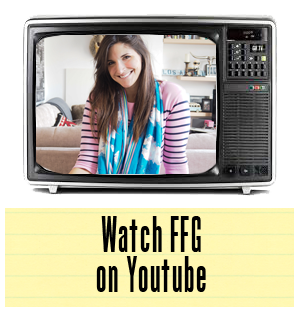 Only time will tell... watch this space.